Today I received a text at 6:00 a.m. Yes, I was up and into the day. The text was from another candidate asking for advice on messaging, social media etc. This early morning text made me want to share some thoughts with everyone. Some candidates work so hard. Our intentions are good and the desire to help people is what drives us. In saying that, my goodness, we need help. There are people who think we have magical campaign fairies who do everything for us. There are even those who are critical and find flaws in things we simply can't keep up with. To run an honorable campaign, we promise to not take corporate money. We promise to not be bought and sold. We promise to put our communities first. My opponent has over $800,000 in campaign cash. Much of it from corporations and the wealthy. He can pay people to go door to door for him. He can pay for $80,000 - $200,000 in television ads for a job that pays $79,000 a year. You see, his corporate donors are buying this race. Not the people in this community. 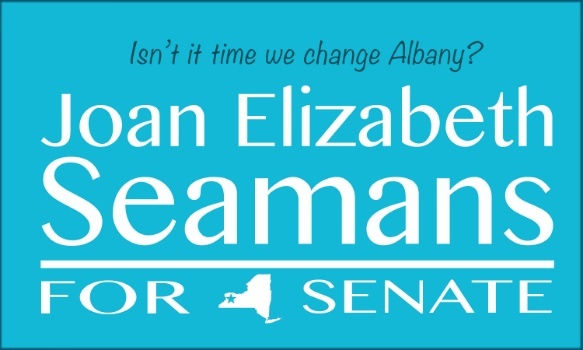 Together We will change Albany. Together WE will make our communities in WNY count.